The afternoon was hot; there wasn't a breath of air moving in the courtyard. 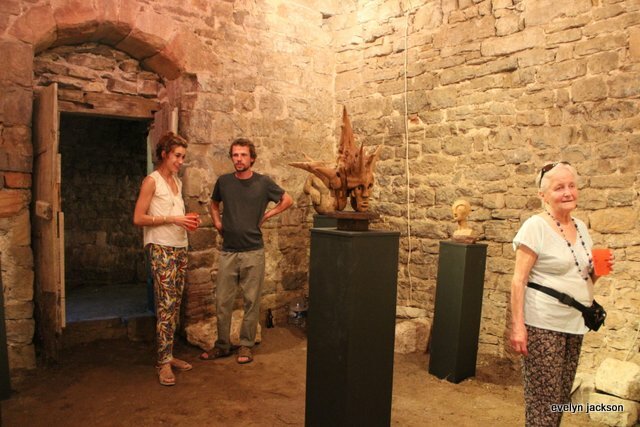 It felt good to walk down the steps into the cool caves beneath the Chateau. 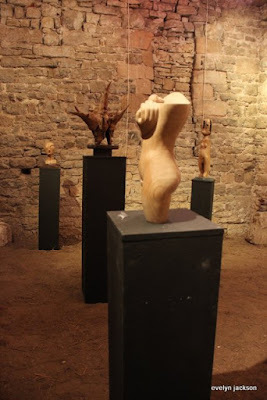 One cave showcased an exhibit of wood sculptures. 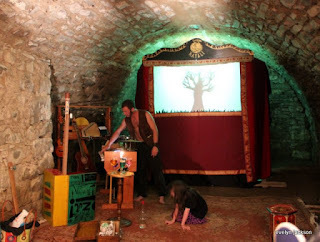 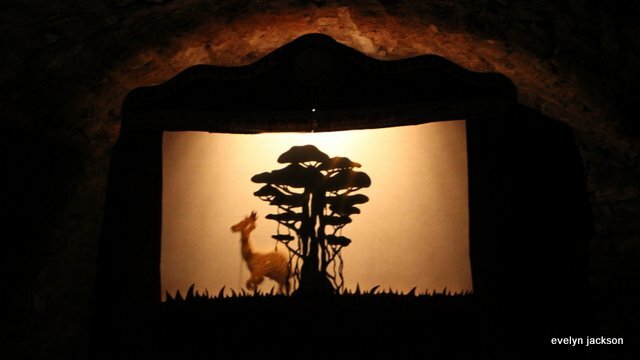 The other cave was set up for a shadow puppet performance. 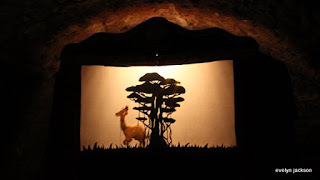 We were entertained in the cool darkness by a delightful story of wild animals, a magic tortoise, a talking tree and a bumbling hero who discovers his true love atop a mountain.